Did you know that one of top tourist destinations in Manila is the SM Mall of Asia (MOA)? And what’s one of the best ways to welcome foreign guests to one of Manila’s top tourist destinations? By sharing with them a variety of great-tasting dishes from different parts of the Philippines! 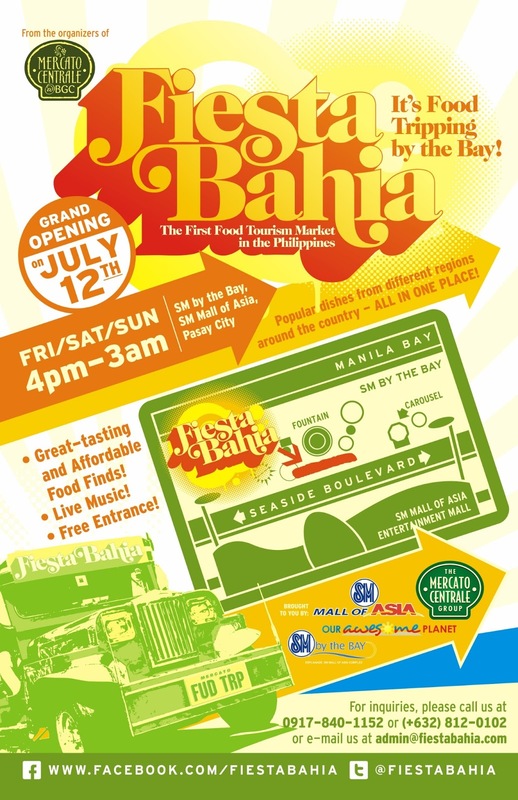 For interested food vendors who want to join Fiesta Bahia, please contact (+63 917) 840-1152 or (+632) 812-0102 oradmin@mercatocentrale.ph. We are prioritizing vendors who specialize in regional/provincial food. The more unique, the better!